This topic contains 44 replies, has 17 voices, and was last updated by Mark Koziol 1 week, 2 days ago. While it can seem at times that the treatments and management of idiopathic pulmonary fibrosis (IPF) is not standardized enough; there are some consistencies when it comes to diagnostic testing for IPF. A 6-minute walk test is one of those “more standardized” type of tests that patients endure both upon diagnosis, and to monitor the progression of their disease. Since my own diagnosis of IPF nearly three years ago, I’ve had many of these walk tests but the most impactful one was when walking for 4 minutes (not even the full 6) qualified me for the use of supplemental oxygen. I remember this being a detrimental time in my own IPF journey, and I’ve never felt really good about 6-minute walk tests after that. Even though I know the importance of using this tool to determine I needed oxygen, it remains a test that I am not very fond of. Have you had to complete the 6-minute walk test since your diagnosis of IPF/PF? Do you find it a difficult test to get through? How do you feel about it overall? Recently, a post was made to a popular Facebook group about the 6-minute walk test and I thought I’d share it with our forum community. It’s called The Six-Minute Walk Test – What it is and Why It’s Important for IPF. I found this article informative and very helpful to read, a quick Google search should help you track it down. How often are you required to complete the 6-minute walk test as a patient with IPF/PF? The last 6 min walk I did made me so ill that I was in bed for 2 days. When I have done subsequent tests I have refused to do more than 2 or 3 mins, I think they have got the message…. now as they just take my sats without supplementary oxygen. That tells them how much oxygen I need. So don’t stress do ONLY the minimum you feel comfortable with! Thanks so much for sharing this, as it was something I didn’t know we could do when we struggle so much with the 6-minute walk test. I also find minutes 4-6 really tough, and have to push myself to the point where I am almost shaking. Not because I can’t walk 6 minutes, I do everyday, but because of the pace they set me at. I try to voice my concern but the tech running the tests often tells me how good it is to push my lungs as much as I can. Its frustrating to say the least! I will keep your experience in mind next time and only do what I can. Thank you so much for explaining this! I have had to do two of these since my diagnosis 8/17. I asked about supplemental oxygen as I felt I was going to need it. They did one then, and stopped me about less than 1 minute. Took me back to the room for a few minutes on 2 lpm. I made it about 30 feet and they sent me back to the room and decided to start me on 4 lpm when I was moving and 2 lpm sitting. My last test, December 31, 18, She only had me walk about 75 feet and stopped me. She now has me using 4 lpm when moving and no oxygen when I am sitting unless my SPO2 is dropping. She said I am lucky in the fact that I seem to recover quickly when I drop. I just tend to drop to 72 or lower when I go all of a sudden. On my first test, I dropped 11 % in usage in one year and 4 months. That scared me to death. That is a big percentage. I am not sure how I feel about doing it yet, as I have only had 2. The second one, she had me carry my O2 but keep it off, so I felt like she was getting a pretty accurate reading. Thanks so much for contributing to this topic thread and sharing a bit about your experience with the 6-minute walk tests. It sounds like you get these annually then? Great news that you seemed to improve on the second one, with going from LPM to no oxygen upon resting/sitting. It is good that you recovery quickly, I could see why the nurse would call it “lucky” but at the same time, I can’t imagine how poor you feel when your sats drop to 72! Goodluck with your upcoming test and I hope it goes well. Make sure you are in the “drivers seat” and tell them what you can/cannot do, as Anne suggested above. I’m going to do this in future as well. It’s all very confusing to me also. I did the walk without a problem, but a slight incline I’m sure would have changed that. Yet I went on a treadmill for ten minutes at a speed of nearly 4.0 (not sure what the speed represents) and was told it was above average. But as of tonight I will be on 4 liters of ox, only during sleep. Charlene, I told you I would let you know why after almost 3 months I have not started Ofev yet. When I first discovered I had IPF the first pulmonologist immediately prescribed Esbriet. Absolutely no tests were done. The only thing I was told was I was terminal and would die in 3-5 years! I needed another opinion. I decided to go to Yale because its nearby. After several hours and many doctors I was prescribed Ofev. And was told to take it as soon as it arrived. That’s chapter 2. Chapter 3, I decided to find another pulmonologist in my town. The problem today is doctors belong to large groups compromised of many doctors. I did not want to find another doctor in the same group as the one that told me I’d be dead soon. So like many others I’m sure, I looked on the internet to see if I could find another pulmonologist. Luckily for me I found two doctors belonging to one group less than 5 minutes away from my home. What’s the last thing to lose I figured I would try and see how this doctor was. He immediately explained everything to me about the disease that no one else had explained to me. He then began all kinds of breathing tests which included a treadmill as explained above and another 6-minute walk test. He told me to bring the medicine in ofev, he wanted to look at it. He also told me to bring in the literature that came with it. I wasn’t sure where he was going with this. My appointments are scheduled days apart when I went back to see him he said to me do not start ofev until I do some more testing. That was two weeks ago I have since been to the hospital for an echocardiogram an EKG and was prescribed something for acid reflux. Tuesday I was told why he did not want me to start the Ofev. The doctor told me he had two patients that had minor heart attacks shortly after beginning Ofev. He had read somewhere that it was a possible side effect. Although I am about 10 years younger than the others (I’m 70), he felt he ought to test my heart first. Lucky for me! I have an enlarged heart, he so far has not detected any blockage, veins and arteries seem okay. But I will be going for a heart catherization next week to be certain I have something going on that the echo or cardiogram missed. He believes my labored breathing may be caused more from my heart than the lungs. At this point I’m not sure what the hell to wish for! But lucky for me that the chapter 3 doctor held me off the Ofev for a little while. I’ll try the ox at night and see where I wind up. Nice to hear from you, although so sorry to hear the 6-minute walk test and all the information being shared with you is a bit confusing. It certainly can be overwhelming, I agree! Sometimes the oxygen at nighttime is prescribed to help your heart and lungs rest, and not work so hard while the rest of your body is relaxing. Might this be the case for why you were given it at nighttime only? This is how I started with supplemental oxygen but now wear it most of the day actually. Kudos to you for walking on the treadmill – that is easier said than done with this disease, so good work! Wow, I am also really glad to hear you found that third doctor – he sounds a lot more educated and thorough than the first two which is great. Its also important to do all the testing he did to determine your baseline, so good work on his end. Did the doctor say if there were co-morbidities or underlying issues with the patients who had the heart attacks on Ofev? I am on this drug and am really curious as I also have cardiac troubles. Did he mention pulmonary hypertension at all to you? PH often mimics IPF and can often be mistaken if the right tests aren’t done to check the heart first so I am really glad he’s doing this for you. Keep us posted, and thanks so much for sharing your story. I read a post about the 3-5 year life expectancy statistic that made a lot of sense to me. The poster, who seems to do a lot of research based on the information in his other posts, said that that statistic is really old, developed before the drug and treatment therapies used now existed. He said it is also an average and doesn’t take into account age. I have HP, not IPF, but the same statistic is quoted for chronic HP. So it must apply to PF in general. I was told in 2011 that if I didn’t have a lung transplant in 18-24 months, I’d progress rapidly to the end. That was 7 years ago and I’m still here with only some minor progression compared to others. So, I pretty much ignore the general statistics and pay attention to how I’m doing, because, obviously, those statistics don’t apply to me. I’m in my own uncharted territory. I appreciated reading your post, specifically regarding Ofev and the possibility of a heart attack as a side effect. I was diagnosed in 2016 with ILD/PF. My doctor has not started me on medication. I now started to see a second doctor, who changed the diagnosis to IPF. I go for my follow-up appointment in May. Also, in 2016, it was discovered all coronary arteries were blocked and I subsequently received two heart stents. In 2017, I began to TelMed with a Naturopathic Cardiologist who orders blood work-up before prescribing me supplements. I recently started k-laser treatments, 5 thus far. When I see the pulmonologist next month, I will ask about medications and if I am a lung transplant candidate. 6-minute walk test was part of the full battery of tests undergone at the end of 2016 for the diagnosis of my IPF. I get follow-up visits every 3 months with pulmonologist and 6-minute walk test twice a year. Glad it hasn’t indicated your need for oxygen yet, and hope that means you get some more rounds of golf in with your wife. Keep us posted on how your meetings with the Pulmonologists go. Have you always seen him/her every three months, since your diagnosis? I am post transplant 4/2015. My progression was a lengthy one, and after being listed waited two years for the transplant. During the 5 years, I had several 6 minute walk tests at different locations. Mayo Jacksonville, National Jewish Health – Denver, Tampa General Hospital, and Local Pulmonologist where I live. All followed different protocols! Mayo had me walk till my sats dropped below 80 then stopped. National Jewish Health had me walk towing oxygen behind me and as the sats dropped below 88 turned up the 02 till I normalized above 92 (still walking) and kept increasing oxygen as needed to maintain it as the walk continued. Tampa General (where I was transplanted) had you walk till below 90 or so, then stopped you till you recovered, then started up again till a total of 6 minutes passed. Mayo and National Jewish Health had a circuit long enough that you did not have to stop and turn around going the other way. None tested on a treadmill or treadmill with incline. Therefore, the distance covered in 6 minutes was radically different depending on the protocol, and comparisons would not be useful. TGH was useful because I had 6 of them at one facility using the same methodology. This is really interesting – a prime example of how many “standard” tests for those of us living with IPF, aren’t actually that standard at all. I don’t mean that comment in a bad way, but I wonder why the differences exist in the protocols of conducting the 6-minute walk test at different facilities? Interesting just to think about and I appreciate your sharing this with us. Congratulations on your transplant, and I am so glad to hear you’re doing so well! I will keep you in my thoughts and hope that continues. Thanks again for your willingness to share with us. The 6mw is really important, at least in the US, because it’s the primary factor used by insurance companies in determining whether you qualify for oxygen and what type of equipment. My experiences are comparable to PDK. I was diagnoses in 2007 in Australia, where I was working at the time. I really don’t remember that one. Being so far from home with a medical emergency can really mess with your thinking process. But they did have me walk up stairs. But I didn’t need oxygen then. Maybe if I did, I would have asked more questions. The first one I clearly remeber was in 2011 in Virginia where I had an exacerbation. Though done in a hospital, it was a stroll through the corridors without oxygen. As soon as oxygen level dropped below 88, they said I needed oxygen. Since then, I’ve had 6 more across the country, in Virginia, UCLA, UC Davis and at the hospital where I now live near Sacramento. All were the “stroll in the park” approach (one literally in a neighboring park to the doctor’s office), except UC Davis. They had a corridor marked for the distance. Recorded when I dropped below 88. Started with no oxygen ( got about 10 feet), then rested and started over at 2lpm. Got a little farther. Then rested, started again at 4lpm. Repeated at 6lpm where I fell below 88. So I needed 4lpm. For the most recent one, they started at 6lpm. I must have dropped below 88, because I heard the respitory therapist say she didn’t know what to do if I needed more than 6lpm. I guess she decided that it wasn’t really important, since at 6lpm, I qualified for a high flow concentrator. She didn’t try the walk again at 8lpm, but I found out, when I got home that’s what I really need. So the training of the person conducting the test is also factor in the results, I guess. When I read some of the posts above I feel terrible for the authors. In fact it makes me boil over with rage. Some of the comments scream out medical incompetency! I’m a patient myself, not a doctor. I cannot help but post my feelings about what I have read above. The 6 minute walk test is an important standardized test used in most places in the world for IPF patients. It measures how far you can walk before you need oxygen or other assistance to see where you are since the last time the test was conducted. Normally it accompanies breathing function testing as part of the analysis of progression. Some patients can go 6 minutes, some cannot. There’s no wrong outcome. The doctor uses all of the information gathered to determine if any changes are appropriate in your treatment. For most people, certainly it’s advisable to try to do the stress test. But YOU are the decision-maker; you are in control. If you can’t complete it, helps the doctor determine treatment going forward. I repeat! YOU are in control, not a tech, not a doctor. Be aware, the test should be conducted in a controlled medical environment (e.g., not a park!) by qualified, certified technicians. It is NOT a fitness test like those done in a gym. It should be conducted at a pace YOU are comfortable with. Your oxygen level should be monitored continuously before, during, and after the test, including recovery time. Oxygen should be present and readily available at all times in case you need it. If you cannot complete the test, you should stop it. YOU are the decision-maker, not the tech or doctor. If you are unhappy with the performance of the Doctor or technician, CHANGE. You can seek pulmonary medical professionals who are specialized in IPF online. Check out their credentials, read what their patients have to say about them, visit websites that rank doctors, etc. Even after doing all these things you have to be comfortable with them. If they tell you something that is questionable to you, don’t be afraid to challenge it or get a second opinion. Don’t be intimidated; YOU are in control. This reply was modified 2 months, 1 week ago by Karl. I completely agree with you when it comes to no right or wrong conclusion of a 6-minute walk test, simply that it is a test to determine your baseline (for a new patient) or your progression from the last test. Isn’t it “interesting” (although, I should have a better word for this…) that medical professionals conduct the test differently at each facility? I can no longer do the stress test successfully. My doctor knows I try, but I find it so anxiety-provoking to be pushed on the treadmill, especially with an incline. The last one I got so worked up because it was so difficult to breathe that I vowed I wouldn’t do one again, or at least next time, I wouldn’t allow them to push me so far. Thus, I appreciate your comment about being in control. Thanks for the reminder of that -it is so easy to fall into the patient role and simply abide by everything the techs, nurses and doctors want to do to us. I appreciate your reminder and am glad to hear from you. Actually, Karl, you are not entirely in control if you want your oxygen equipment covered by Medicare. They require a 6mw report. Prior to Medicare, my private insurance also required the 6mw because they adopted Medicare rules. Yes, you can refuse, but at a possible cost. My pulmonologist would require the test periodically (every couple of years). When I asked why, he said insurance company required it. As I said, most were lax in how they administered the test. And as soon as they got a qualifying score, I think they stopped. But when it was obvious that I needed to go to the next level in equipment, they did the minimum required to get that equipment IMO. The doctor didn’t administer the test. Just accepted the results he got. But saying I wouldn’t take/complete the test to their satisfaction really wasn’t in my best interest. Hi Charlene, Thanks for the response. It’s interesting that so many people mention treadmill when talking about the 6M test. I have been to 4 different places that conduct the test. All were medical facilities with certified technicians. One was a pulmonary rehab facility in a hospital. Two had treadmills as an option, not the only method. And by the way, the test on treadmills is always conducted at zero incline. One doctors office asked me if I would prefer walking around the office or using a treadmill. Another doctors office only walked around the office. When using a treadmill, you should have control over pace and it should always be at zero incline. When not using a treadmill they use a device that rolls along with you to measure distance traveled and they drag an air cylinder if you need it. When they use a treadmill there is always an air cylinder located right at the treadmill. Those devices are standard operating procedures in controlled medical facilities. For every one of my tests I was always told to walk at whatever pace I was comfortable with. 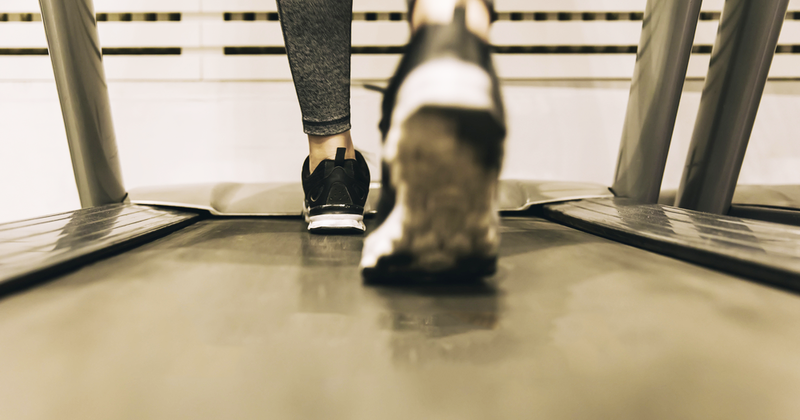 It should simply not be mandatory to conduct the test on a treadmill, particularly if you are intimidated by the thought of not having control over pace. If it’s not possible to walk for 6 minutes, that sums up one’s condition, actual distance covered should be reported. Unable to complete is an outcome that should be a sufficient insurance qualifier but I’m no expert on that. @tmoriarty, To me it’s simple logic for the doctor to tell medicare that the situation is so bad that you were not able to walk for 6 minutes and simply to report the actual distance you accomplished. Of course we’re dealing with big government and that’s another pet peeve of mine. If it were me I’d certainly do my own follow up research with Medicare regarding the requirement. You are the only advocate for you that is important. Laxity in administering the 6M test suggests medical mediocrity, perhaps even outright incompetency by people who may be more interested in their own income than their patients’ welfare. If that’s the case, I would consider making a change. Thanks so much for getting back to me, and I hope you’ve had a nice week. Yes, I also find it interesting that different facilities seem to conduct the 6-minute walk test differently than others do. I’ve only had personal experience with two centres conducting it, one being a transplant program and the other my pulmonologist’s office but I think they follow the guidelines of the bigger transplant centre anyways. Based on others’ experience, it does seem like there is a wide variety in how the test is conducted. An incline was not done on any of mine, thank goodness, but it was for the stress test which I know is cardiac related as opposed to pulmonary. I am one of those people who now lug my oxygen with my to the rehab centre and for a lot of the testing required to monitor my disease progression, simply because I get so anxious if I am breathless. Take care and thanks again for writing to us about this topic. I too, find it so important to advocate for ourselves when it comes to diagnostic / required tests to monitor our disease progression. I should have mentioned, an oximeter is used throughout the 6M walk is for obvious reasons. The 6M walk is also used for Cardio patients but in their case a heart monitoring device is used throughout the test in place of an oximeter. If you go to a pulmonary rehab facility you will probably see more cardio patients than IPF’rs. And you will see many IPF patients who bring their oxygen along. I applaud all who are able to be so heroic. I feel blessed not to be on oxygen … yet. I have never had a full ” 6 minute test” , while going from his office to the treadmill I dropped to 77-78 he said he’d seen enough ( lol ) and the 02 was ordered 24/7 , 2 litres but I’m up to 3-4 . From april2016 till now ! Catscans ensued and IPF Diagnosis in short fashion . How are you managing with your cold? I’ve been thinking of you and hope your symptoms are easing up a little bit, especially the body aches and chills. I find those the absolute worst. Are you starting to be on the mend, do you think? Take care and I hope you’re on the mend. As always, it is great to hear from you! I’ve only had one 6 minute walk test. That was given to me in January 2015 at UCLA. (I am returning to their ILD clinic in May) My test was done for 6 minutes, and I just kept walking till the end. I was able to maintain a sat in the low to mid 90’s during the test. I recovered quickly from any shortness of breath. I did 440 yards. The test was done in a long wide hallway. And I had to turn around where it was marked in the hallway. When I visit the ILD Clinic in May, I’m hoping to have a repeat test. My local pulmonary doc who follows me does not do them. This reply was modified 2 weeks, 1 day ago by Rose Moore. Hello Rose, your walk distance was pretty good. There are several factors when computing the final computation; how much oxygen you are on, when you needed supplemental 02 and the length. If you are being evaluated for a transplant they want to know the distance and at my center it was ( I think) 575 ft. You walked 1,320ft. Persons who can not walk the required distance will not be eligible to be placed on the transplant list. All the factors I mentioned are used for your lung allocation score which is used for placement on the transplant list. Keep being active, exercise and stretch as much as your body allows, and keep in good spirits. Do not stress about the test. Best wishes, Mark. I have had 4, 6-minute tests in the past year. 1. was to set the baseline – no problem. 2. they put me on O2 at night 2L and a bunch of portable bottles. 3. Took back the portable bottles. 4. The recent test was because my resting O2 was 99 – 100%. Knowing I am going to the Philippines for a long time, the doctor wanted to do another walk test. I was feeling frosty so I walked farther and faster than the other 3 tests. – Ooppsss. Resting O2 dipped to 85 for a nano-second so the doctor wants to do a 3rd CT scan next week. The 1st 2 scans showed no notable difference. Working in cardiology, I know tests can show different results even a couple of days apart when the patient did nothing different from their routine. So the 4th walk test I did not worry because I can monitor my O2 anytime and know the parameters it is generally in. Thanks so much for sharing some of these tangible results with us! Sounds like you pushed yourself a bit too hard for that last walk test, although I’m glad it is because you felt good. Have you done the 3rd CT yet? Let us know how that goes. Sorry for the brevity of this note, I am just home from a very busy weekend away and driving ten hours today — I crossed into the next province! Interesting topic.. thank you all! Had my first & so far my only 6 MW on 12/24/2018, as I desperately wanted to leave the hospital to enjoy Christmas with family. I was first diagnosed with IPF on 9/25/18, feeling fine until a COPD exacerbation in mid December landed me in-patient for a week. My 6MW told them I could go home, but only with o2 at 3 lpm during exertion. I had to keep stopping to rest, each time checking my pulse/ox. I never improved much, altho I did make it to a couple of doc appts, and weekly visits with my 7 year old grandson, and only with my husband’s help. My dear husband has become my caretaker, bless him, as I am too weak to even shower. I try to do sponge baths every 2-3 days, but it’s now 2 weeks between showers, which is not acceptable! I have a shower stool & handheld sprayer, but I’m simply too weak. Sorry, this is becoming another topic altogether. Unfortunately, after a second stint in the hospital the first of March, this time by ambulance as I couldn’t walk to vehicle, I am now up to 4.5 lpm, 24/7. They did not ask for another 6MW, instead, they set me up for home healthcare & in-home PT. So much for the 2-5 years he gave me in September. I have followed you from afar and knew you were on a mini vacay. Yes, I pushed a little too hard for the last walk test but I know the laser is helping with endurance. The CT scan is Tuesday so I expect to have the results late this week. Hi – I hope you will keep looking at the various forums here as there several potential regimens you may be interested in. Without going into much detail here I use serrapeptase, nattokinase, B complex vitamin, astragalus, D3 and K2m7, diet, rest, water, exercise, and class 4 laser therapy. Daily start the day with 2 big glasses of fresh squeezed lemon/lime in hot water with a little real honey and wait 20 minutes before I drink/eat anything else. Sometimes I use crushed garlic. These have all helped me regain energy and endurance. In 3 years I’ve had at least 4 6minute walks monitored by medical professionals, plus about 6 in rehab. I found them a good measure of how well I was doing. However my hip is now too bad to walk for 6 minutes so I won’t do it any more. There’s no doubt that I need a new hip but I’m getting along fairly well with a cortisone shot. I still play table-tennis daily with a backpack and LOX but I won’t be doing any 6 minute walks in the near future. BTW I needed 4L/min for walking, 2L/min at rest.